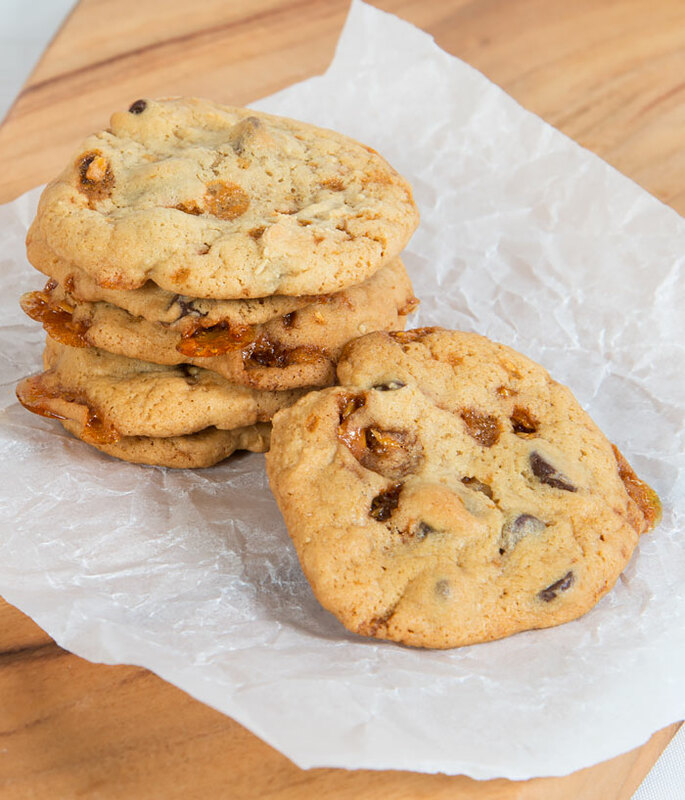 Think of a toblerone cookie and this is sort of it. I love these cookies! Preheat oven to 190C/375F and line baking sheet with paper or use a silicone mat. Whisk the dry ingredients together (except chocolate and toffee) in a bowl. Scrape down the sides and bottom of the bowl and beat another minute longer. Add the eggs and the vanilla extract and beat only until incorporated. Add the flour mixture by spoonsful until all used and just barely incorporated. You don't want to develop the gluten and make the cookies tough. Remove the bowl and fold in the chocolate and toffee and place in the refrigerator for an hour. Using a small ice cream scoop, spoon the dough onto the prepared baking sheets, leaving at least 2 inches between each cookie, and bake on the middle rack until the cookies are lightly golden brown and still soft in the middle, about 11 minutes. Once baked, cool in the pan for 2 minutes before placing on a cooling rack. Feel free to adjust the chocolate and toffee crunch amounts.